NTU is one of the UK's front-runners in sustainable development, and we've got the awards to prove it. We're committed to making a difference, and you can too. NTU is one of the most sustainable universities in the world — ranked 3rd in the UK by the People and Planet University League, and 5th globally in the UI GreenMetric. We are proud of our world-class campuses complete with green spaces, sustainable buildings and transport infrastructure. The Sustainable Development Team and Green Academy work in partnership with other departments to continue to embed sustainability into everyday life at NTU. Professor Eunice Simmons, Deputy Vice-Chancellor at Nottingham Trent, won the Green Gown award for leadership and NTU was awarded the Green Gown for employability. contributing to the Nottingham British Heart Foundation partnership which saw students in the city donating 18,072 bags in 2017, with an estimated value of £253,008. Look out for BHF banks around halls and the city when you are clearing out this year. We're proud of our progress and committed to sustainability, but to get to where we truly want to be we'll need your help. Get involved in one of our many initiatives, and you'll see a range of benefits — both for your university and your own employability. The Sustainability in Practice (SiP) Certificate is a free online course available to all NTU students, exploring sustainability issues through the lens of the UN Sustainable Development Goals. You can choose between three themes - Food, Energy or Clothing. The course is designed to increase your employability as well as your sustainability knowledge, and is officially recognised through a certificate of achievement. Visit our Sustainability section for further details. Sustainability in Practice (SiP) Challenge Days are a chance to complete the SiP Certificate in just one day with support from the Green Academy. Visit the Sustainability Events page to find out more. Green Leaders is your chance to make a positive environmental impact on your own course, halls or campus. If you've got an idea that you feel could improve NTU's sustainability, then let us know — that idea could win you up to £1000 in funding, as you work to make it a reality. It's a fantastic opportunity to help build the University's green culture, whilst adding a unique achievement to your CV. You can work individually, or in a team of up to four people. Visit NTSU's Green Leaders section for further details. 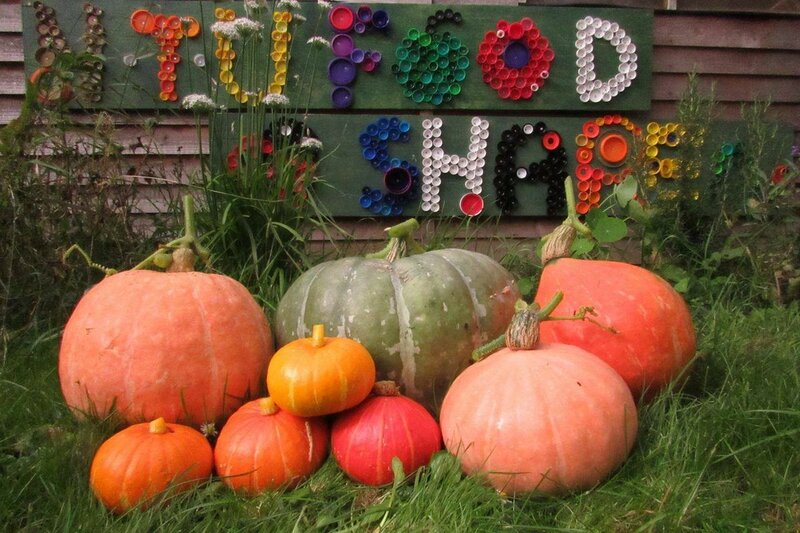 Our Foodshare Allotment is open to all NTU students and staff. As a volunteer, you'll learn how to grow pesticide-free fruit and veg, meet new people, and get some valuable fresh air and exercise. All volunteers get a share of the produce grown, and the rest is donated to local charities and community cafes. Visit our Sustainability section for further details. Eco-Ambassadors are student volunteers who work with the Sustainable Development team to promote and support upcoming events. They help bridge the gap between students and the University, as student feedback is essential for the improvement of all future events. We hold meetings to report feedback from events and pitch ideas to improve sustainability around our campuses and halls. Get in touch to find out more. 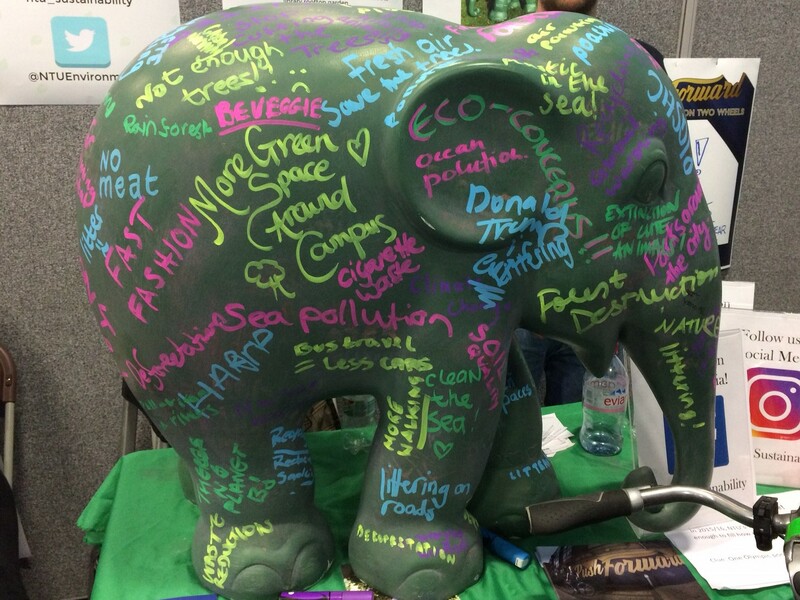 Our Sustainable Development team holds a series of events and activities throughout the year to raise awareness of current issues and encourage sustainable behaviour. These include markets at Clifton Campus, Green Week, and Fairtrade Fortnight. Visit our Sustainability section to learn what's on offer, and when. Read about how staff and students at NTU are working towards the United Nations Sustainable Development Goals (SDGs) and creating the University of the Future, in our NTU-SDGs blog. If you're an aspiring blogger and working towards any of the Global Goals, we’d love to hear from you! Follow us on Facebook, Instagram and Twitter for the latest news, events and opportunities.